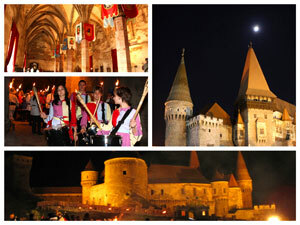 Join us for the tour of the most important sights from Romania. 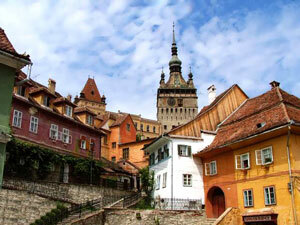 We’ll visit the charming Transylvania with its old medieval towns, castles and fortresses, the beautiful painted monasteries from Bucovina and the capital city of Romania, Bucharest. All combined with beautiful landscapes, charming villages and countryside, enjoy traditional customs, taste local food and drinks, visit the workshops of the local craftsmen. Bucharest – panoramic tour, Sibiu’s Old Town, Corvin (Hunyad) Castle, Alba Iulia, Sighisoara – medieval town, Borgo Pass, Painted monasteries from Bucovina: Voronet, Moldovita and Sucevita, painted eggs museum and workshop, Marginea pottery center, Prejmer Fortified Church, Brasov – Old Town, Bran Castle, Peles Castle, horse driven wagon tour in an old village, traditional lunch in a village, visit local crafsmen, tasting of local plum and pear brandy. We’ll start driving on the way to Transylvania. Crossing the Carpathian mountain you van admire great views and landscapes. We’ll stop in a old village from Sibiu area. You can enjoy a horse driven wagon tour in the old village. Learn more about the local traditions and way of living. Visit a local household and Traditional lunch in a local house. End the day in Sibiu. Walking tour of the Sibiu’s Old District. 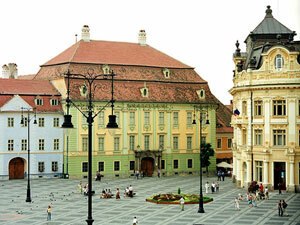 Sibiu is one of the most important fortified towns in Transylvania.. The city is reminiscent of old European cities such as Nuremburg and it was founded in 1190 and grew to be the chief city of the Transylvanian Saxons. This amazing town, with the "Old Town" (The Big Square, the Small Square, The staircase Tower, the Tanners Tower, the Liar’s Bridge , the House of the Butcher’s Guild , aso. Next we’ll cross the Carpathians mountains heading north-east to one of the most famous and popular region of Romania – Bucovina, the land of painted monasteries. It is a very scenic road which offer amazing landscapes. We’ll stop on the way at Borgo Pass, famous due to the Dracula’s novel. End your day in Gura Humorului. Continue to Moldovita (UNESCO): dates back from 1532 and is due to the ruling prince Petru Rares It has the aspect of a fortress, with imposing towers and high, thick walls. The church has a three-cusped plan, as well as an open porch. It Is decorated with scenes from the 16th c Moldavian life. You can see here the best preserved frescoes, with fresh and vivid colors. Next to Sucevita: the last and the most magnificent monastic achievement among the painted monasteries in Bucovina , looks as a real fortress, with towers, buttresses and watch roads. Built in 1581, by one bishop, it was dedicated to the Assumption in 1584. Paintings of the Sucevita monastery were best preserved both on the outside and on the inside( Ladder of Virtue, the last Judgment, the tree of Jesse). We’ll end our tour in Bucharest, aprox 16.00.hrs. Drop-off at the airport or to a hotel in Bucharest. 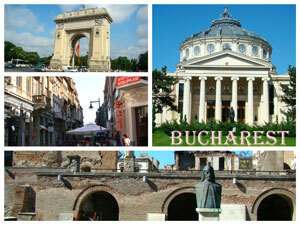 End our journey with a panoramic tour of Bucharest. Highlights: Parliament Palace, Revolution Square, Athenaeum, Royal Palace, Triumph Arch, Victoriei Avenue, aso. 5 nights accommodation; Meals as specified (daily breakfast, one lunch); transport with car or minibus; Private tour Guide - English language; Entrance tickets ; Tour of the village in horse driven carriage in Sibiu area, Visits to the local craftsmen, tasting of plum brandy. Local taxes. Bucharest accommodation : 4 stars hotel, central located, from 35 euros/person/night. Bucharest walking tour 4 hrs. Price from 15 euros/person. Bucharest Full day tour. Including transportation – 8 hrs. Price from 25 euros/person. 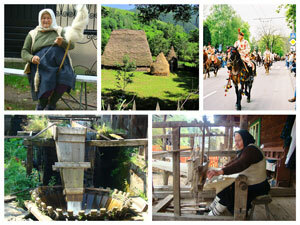 Why to choose the Best of Romania Tour? 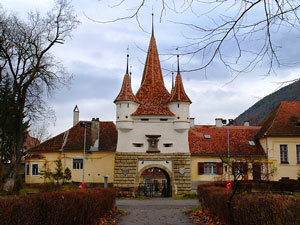 Our tour will guide you through a selection of the best tourist attractions in Romania. 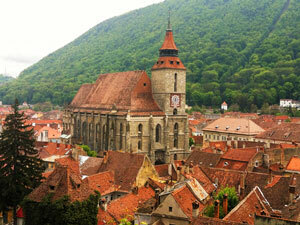 We’ll explore the most famous region – Transylvania which still preserve the medieval architecture. 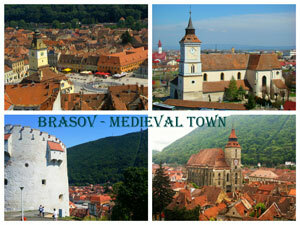 We’ll visit the medieval towns as Brasov, Sibiu and Sighisoara and the famous castles as Bran or Hunyad. Transylvania is famous for the uniques fortified churches and we will visit the one in Prejmer – the biggest fortified church from Romania and a UNESCO site. 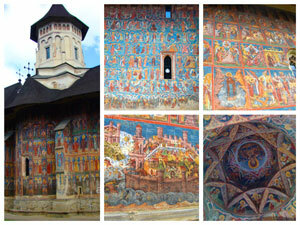 Then we’ll visit Bucovina – the land of outside painted monasteries. These are unique monuments and many of them are included in the UNESCO World Heritages list. 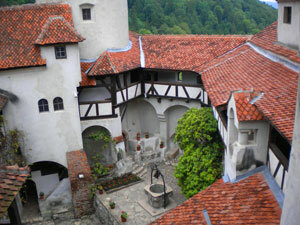 In our tour itinerary we have included the visits at the most important monasteries: Voronet, Moldovita and Sucevita. Our tour guide will tell you the story of this monasteries and will share with you his knowledges about the history and culture of Romania, about its people and their traditions and way of living. We are very lucky because in Romania the old traditions are still very well preserved and it is a big joy for our guests to discover and to experience them. We’ll visit craftsmen, some local people houses, we’ll have a ride in a horse driven wagon and we’ll see the old villages and countryside scenery. Very important is that you’ll also have the chance to taste the home made and natural local products – food and drinks. 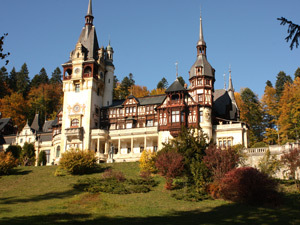 Along our tour to Romania we’ll admire the beauty of the nature. You’ll like to cross the Carpathian mountains on very scenic roads, you’ll enjoy the green rolling hills of Transylvania, the amazing Bicaz Gorges, the forrest, the lakes, aso. We’ll start and end this Romania tour in Bucharest – the capital of Romania. In our tour itinerary it is included a panoramic tour of Bucharest but you can check our optional packages for hotels and tours in Bucharest before or after the main trip. If you’re looking forward to visit Romania we hope that you’ll join our Best of Romania Tour or one of other tours to Romania displayed on our website.